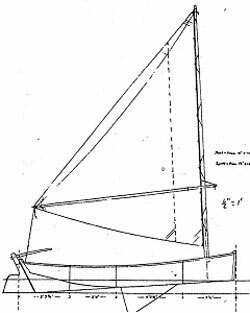 During this course we will be completing the Raul Parker adaptation of a traditional sharpie skiff. 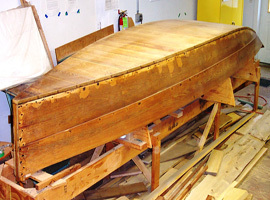 This boat will be used by Bellport Bay Sailing Foundation in its Environmental History Adventure Camp in the summer of 2011 and will ultimately be added to the fleet of the Maritime Center's Boat Livery. The project is designed to give participants the experience of working with traditional materials, white cedar and oak, on a traditional design such as was common in our area a hundred years ago.